6 smart travel apps to help you save money. How you spend the savings is up to you. Spring is (finally) rounding the corner. That also means that prime travel season and spring break is about to begin, and when it comes to family vacations — be it a long weekend or a 10-day stretch — there are plenty of moving parts to keep in order. For many parents, the biggest of those parts is budget. As in, how to have a fun family trip without burning a hole through your savings. So if you’re planning a trip over spring break, here are 6 smart travel apps to save you money. Oh, and these apps are all free downloads too. See? The savings have already begun, my friends. The search engine giant has recently revamped its flight comparison tool with the focus on helping you get the best flight for the right price. But say you’re not sure exactly where to go for your trip. 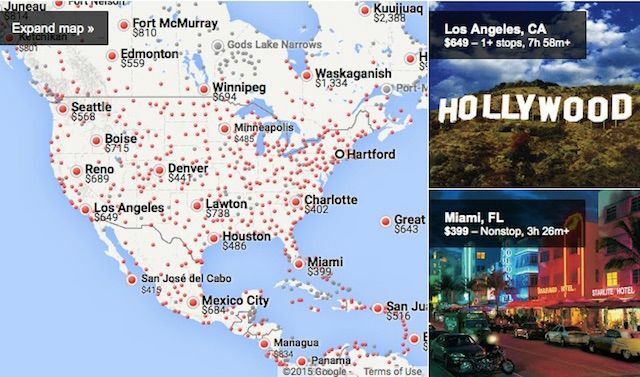 Well, this tool, using Google Maps (natch), helps you figure out which destinations fit your price range, and you can use it right from the Google app on your phone. There’s also a handy “Tips” feature that offers other cost-cutting ideas and options, like flying out of a different airport near your location or leaving a day earlier if you have a flexible schedule. It will also alert you to whether there are inexpensive upgrades to business class available, should you want those free drinks. Only two months old, the popular new iPhone app is an amazingly helpful way to figure out the best time to fly, and the best time to click the buy button on a flight. 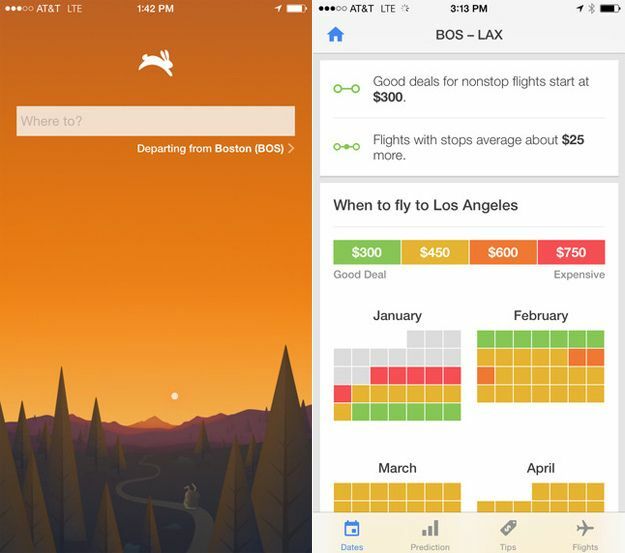 It tracks a gazillion air fares and analyzes that data to predict how the prices will change. Basically it’s my mother — on 40 cases of Red Bull and zero hours of sleep. (Just illustrating a point, Mum.) And it sends you text alerts daily through your phone, letting you know that those tickets to Miami just dropped and are worth buying right now this very second; or that they’re rising with no sign of slowing down. It’s actually kind of amazing to see just how much prices fluctuate over the course of several weeks. Yes, price-tracking tools are not new. Other sites like Kayak and Priceline have been doing it for years. But from what we’ve seen so far, the Price Prediction feature on the Hopper app is really finely tuned and accurate. There are times when even the best-laid plans can completely go south. That’s when an app like HotelTonight can be a real lifesaver. The name pretty much sums it up: get a nice hotel — like, tonight. Or tomorrow or three nights from now, up to seven days in advance. The reassuring part is, the hotels are hand-picked, quality spaces that range from basic to luxe, making it a last-minute traveler’s dream. 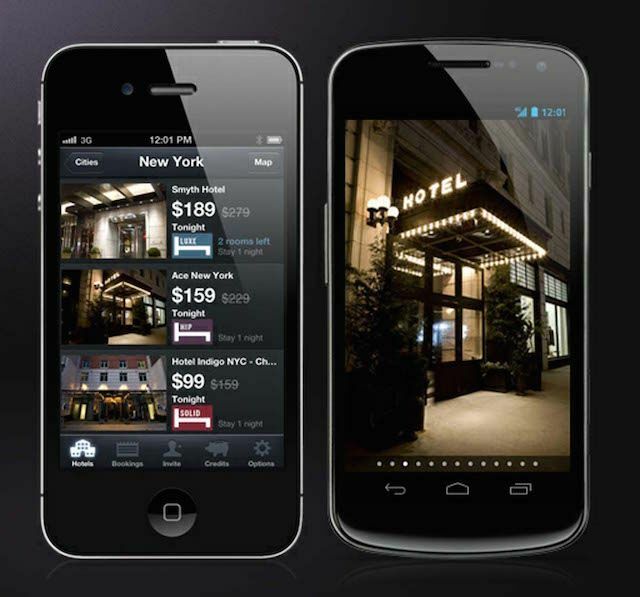 The best thing about HotelTonight app is how easy and quickly you can book a room, and at a really great price. It’s 3 taps, a swipe, and maybe 10 seconds on your smartphone, and c’est tout. Room, booked. No need to scroll and click through dozens of annoying, barely-loading pages either. With the HotelTonight app, you can load a week’s worth of rooms in under a minute. We’ve raved about TripIt before, and three-and-half years later, we’re still singing its praises as it continues to improve and add really useful features. TripIt is the ultimate travel organizing tool whether you’re a frequent traveler or just coordinating a yearly trip with the kids. And since time is definitely money, this app is here to save you big time. The best part is definitely the automated itineraries; simply forward any confirmation email from airlines, hotels, restaurants, museums, you name it to plans@tripit.com (you register all of your email addresses so the system recognizes your account) and…done. You’ve got a master itinerary for your trip in one place, accessible on any device, that’s easily shareable and viewable when you’re offline too. It even attaches directions and maps to your itinerary which is great when you’re in an unfamiliar city. For what breaks down to $4 a month, we highly recommend upgrading to TripIt Pro for features like real-time alerts and Alternate Flight, which quickly finds open seats on other flights so you can rebook should yours be delayed or canceled. There’s also access to Clear, should you be a frequent traveler. Fresh-out-the-oven news alert! 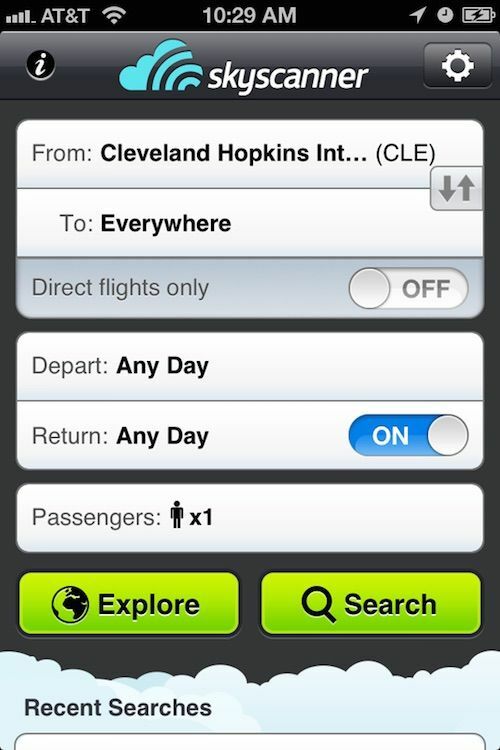 Just launched this week, is TripIt app’s handy Traveler Profile. It’s a new feature that lets you store all your important documents, emergency contacts and travel info securely so you always have it right at your fingertips. We like this simple app that lets you search millions of flights from tons of airlines around the world, then compare prices with easy-to-read bar graphs. Once you’ve found the right flight at the even better price, Skyscanner will link you the the airline or travel agent to buy the ticket directly — no extra charges or fees. All it takes is a few taps on your smartphone. When I stumbled on this site I immediately sat up in my chair. 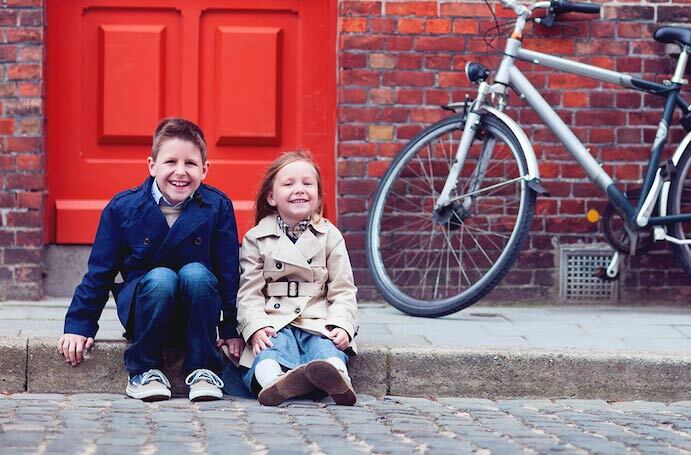 While not a mobile app, Knok is a terrific family travel online network, designed for jetsetter parents who are inclined to roam this marvelous world with their youngsters in tow. 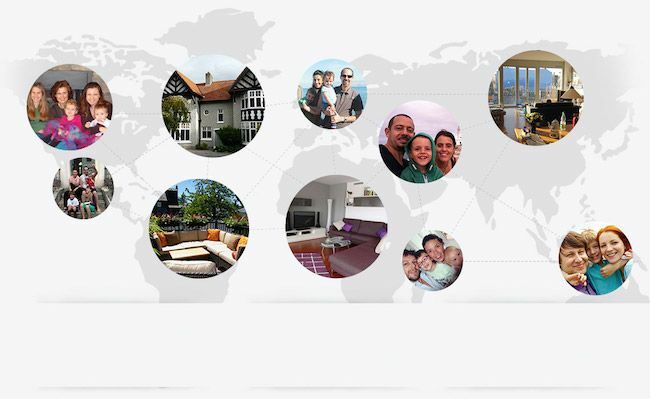 You’ll have access to a network of verified, like-minded families all over the globe with whom you can connect and get exclusive deals on kid-friendly apartment rentals for your trip or, even better, swap family-ready homes for your vacation to live like locals. There are more than 1,000 destinations right now, mostly in the U.S. and Europe but surely that will grow. Membership also gives you crowdsourced travel recos from restaurants and activities to the best way to get around town with kids, and even resources for trusted local babysitters. I mean, when you do the math — insert equation tabulation here, carry the 1 — you could potentially save more than 90% on accommodations alone in a single trip. There is a membership fee of $29/ month or an annual $180 fee (and if you’re world travelers, that’s probably a drop in the bucket for you). It sounds perfect for adventurous families who also like to save money. I already have visions of eating breakfast at a kitchen table with my little family in our new home-away-from-home in Spain. No. Make that the south of France. No. Change that to Italy. Okay, all of them. Cities Talking is a great one if you’re visiting a major European or American city. It’s an audio-guided walking tour app that takes you to all the best landmarks, as well as some really cool ‘off the beaten path’ attractions. Great if you want to avoid expensive guided tours. Editor’s note: This was posted by a representative from this app.